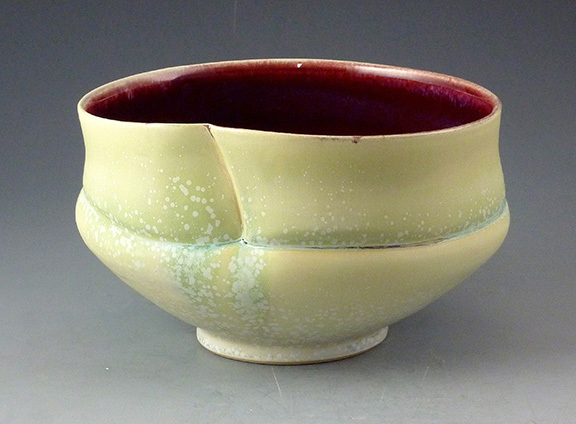 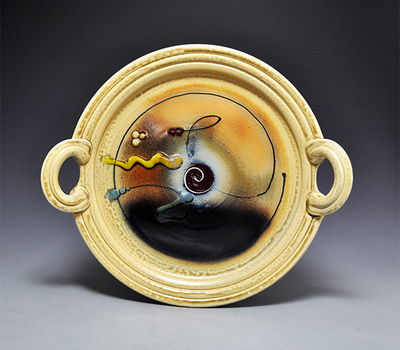 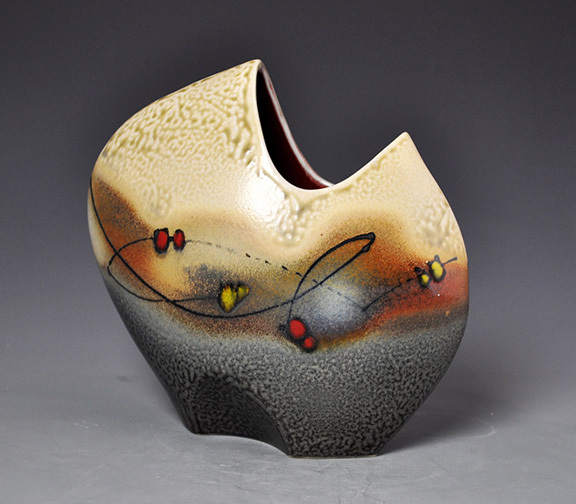 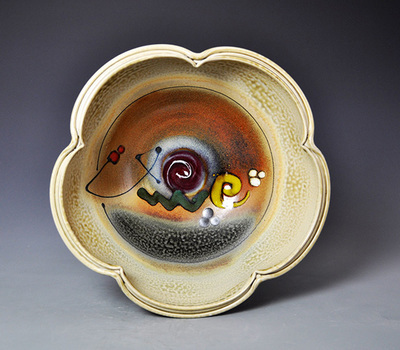 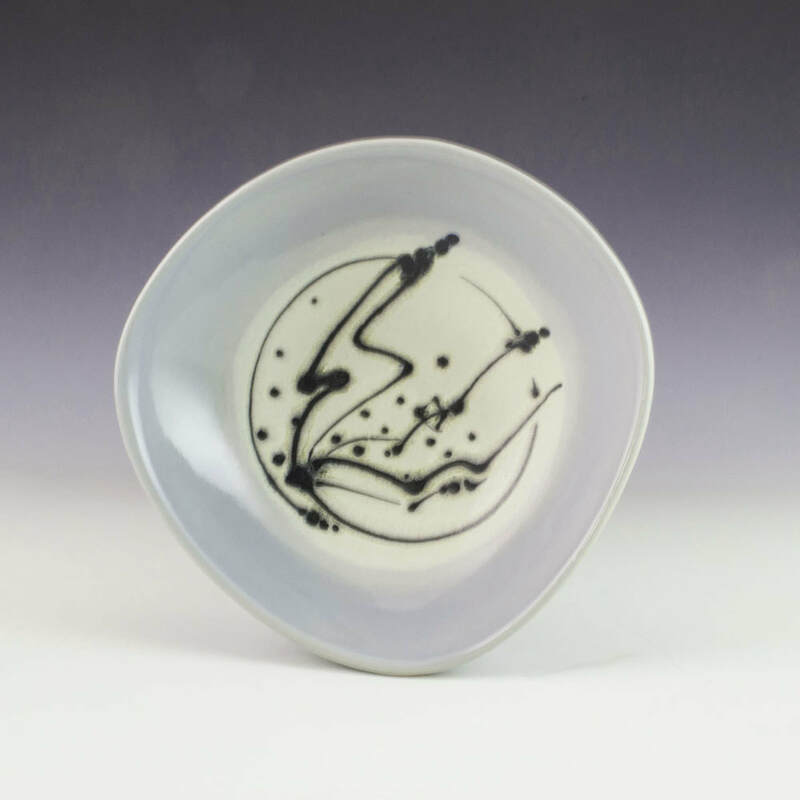 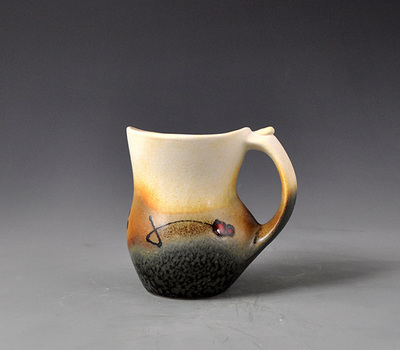 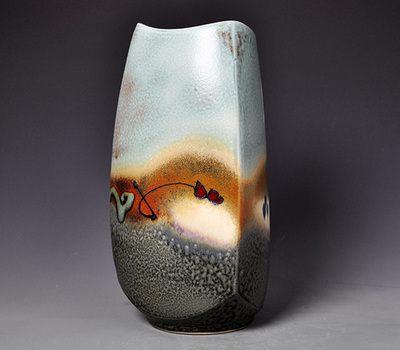 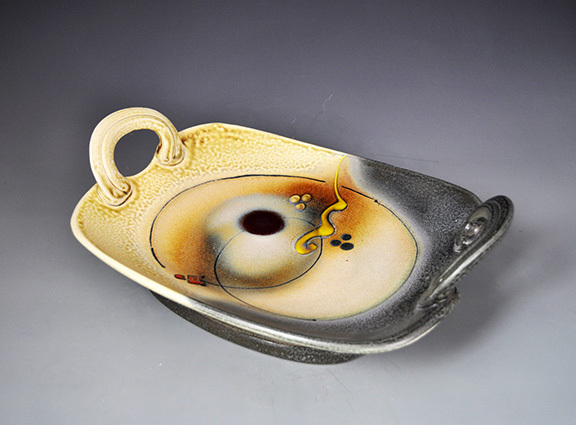 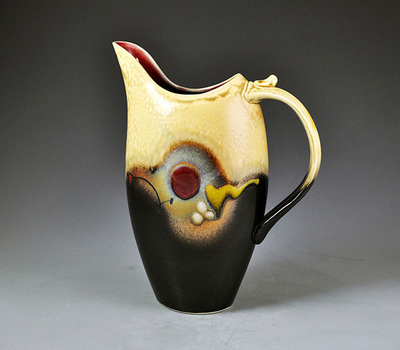 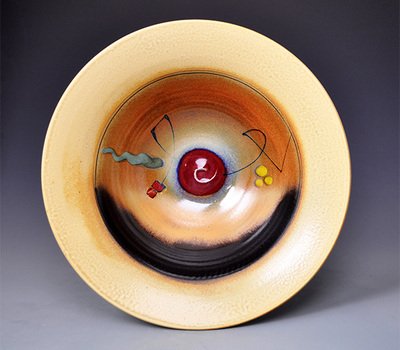 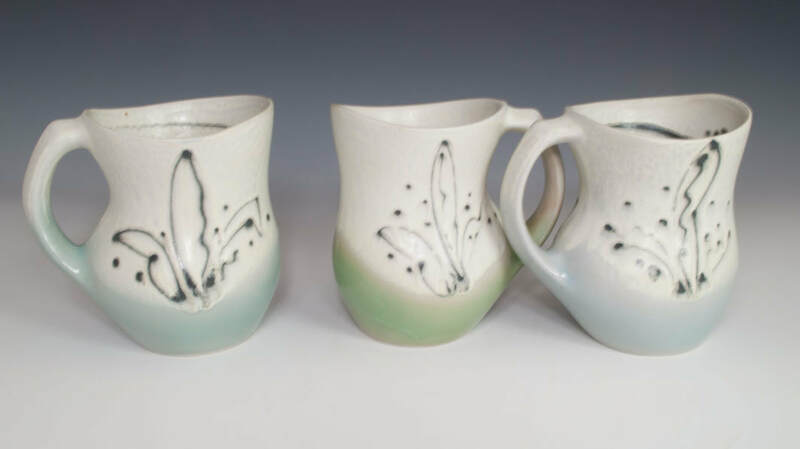 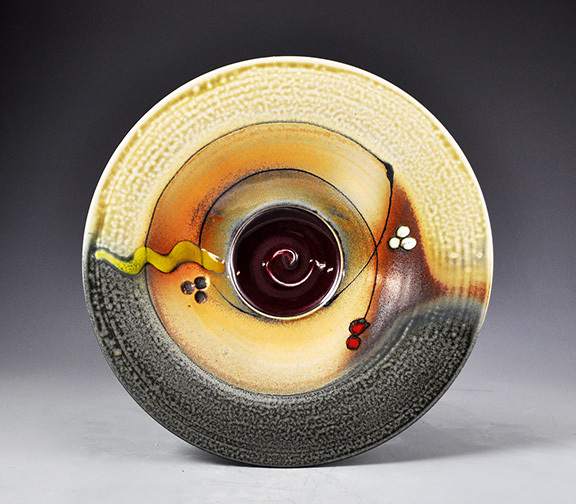 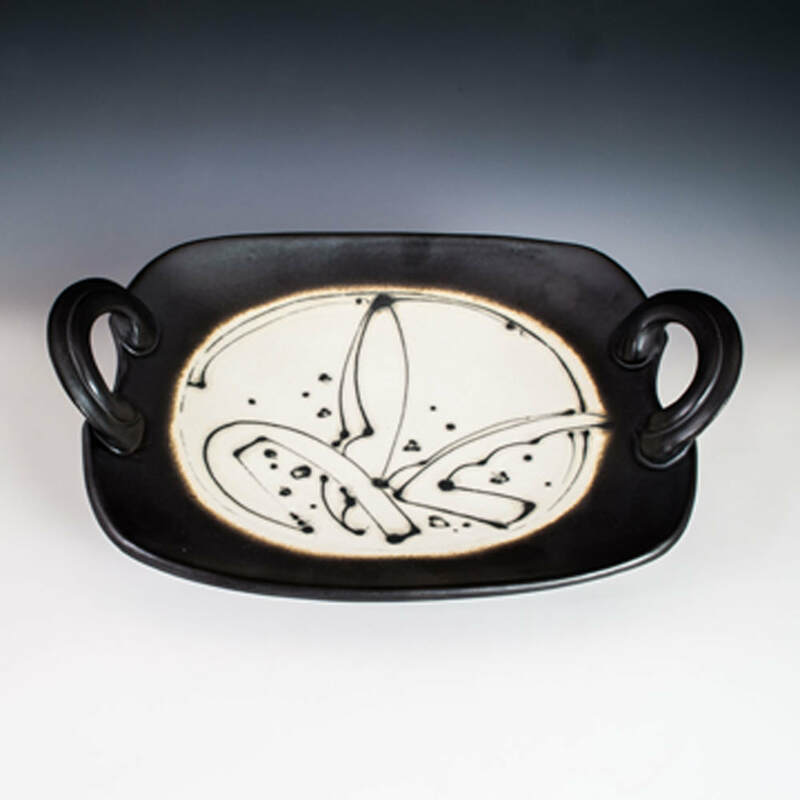 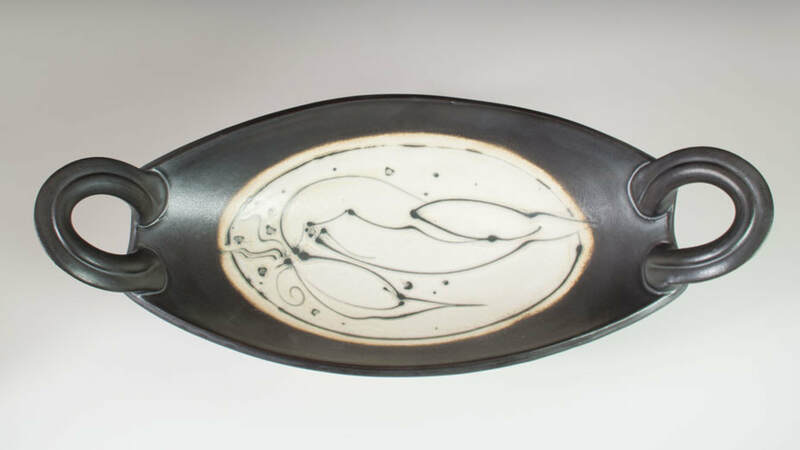 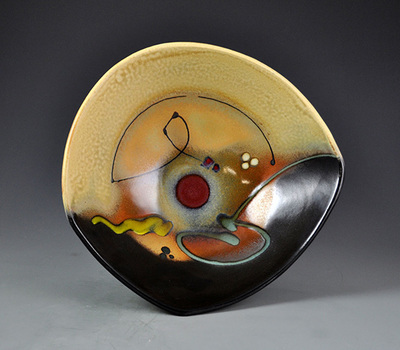 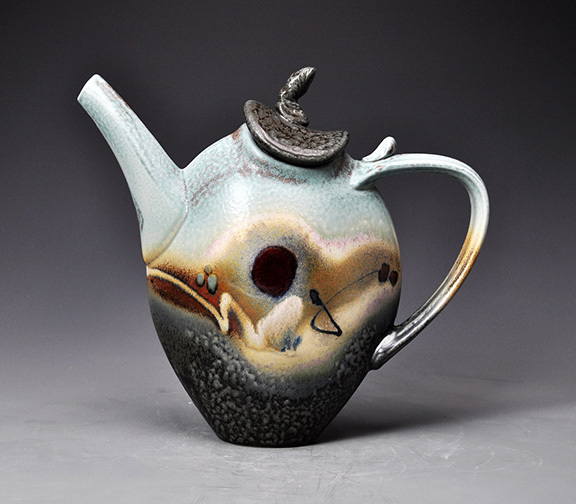 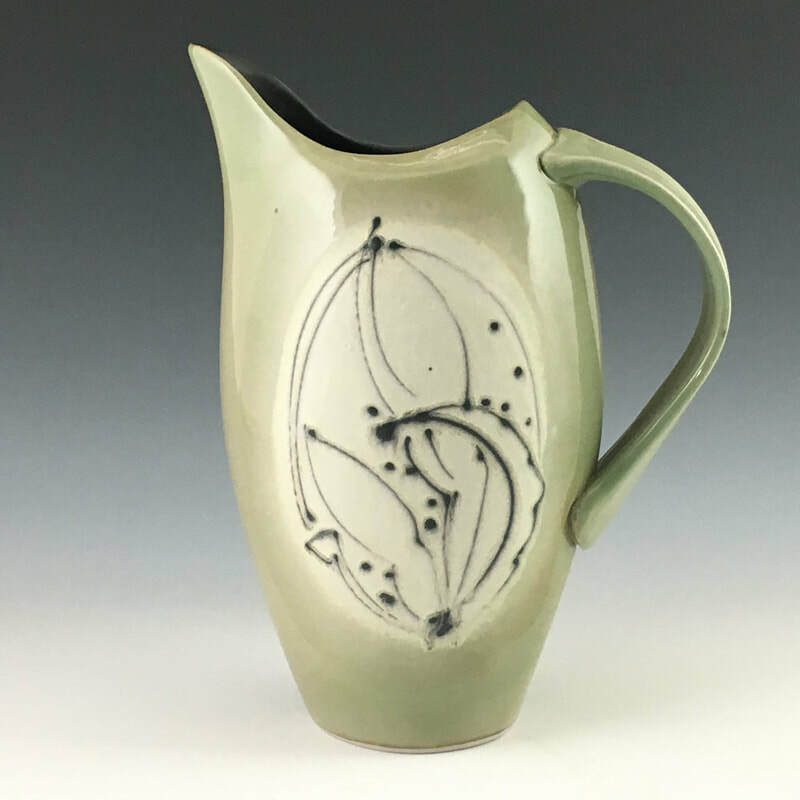 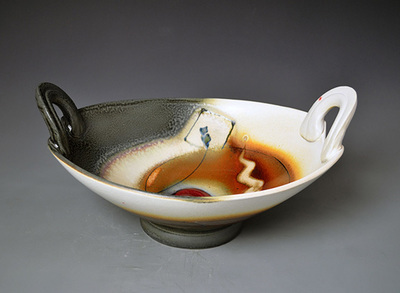 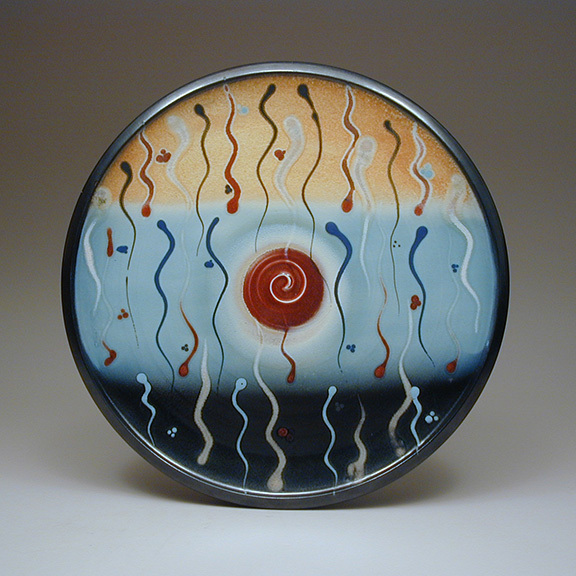 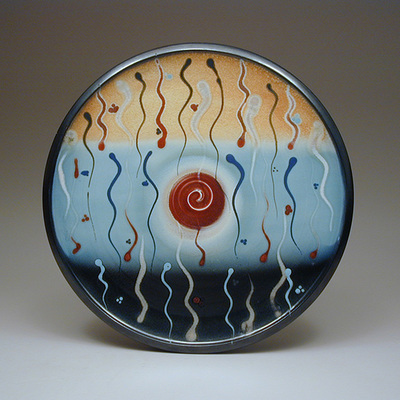 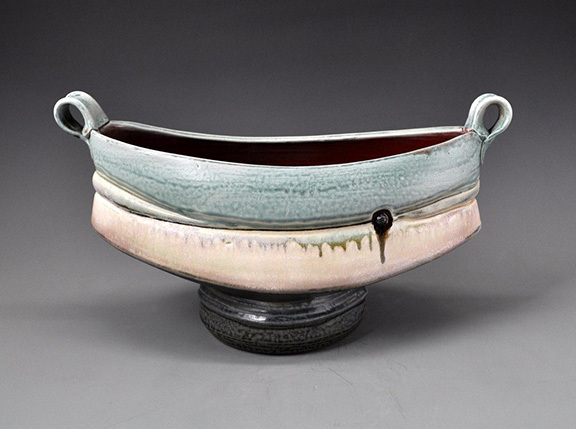 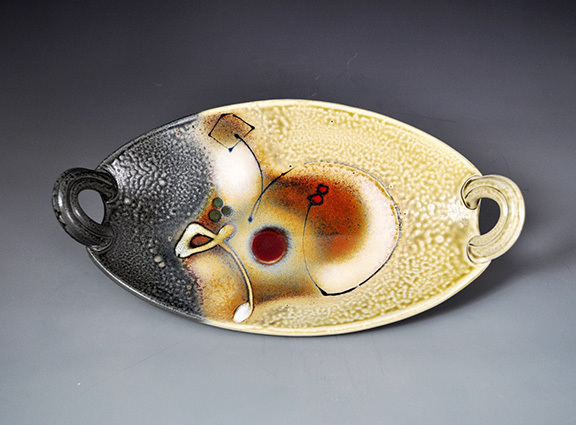 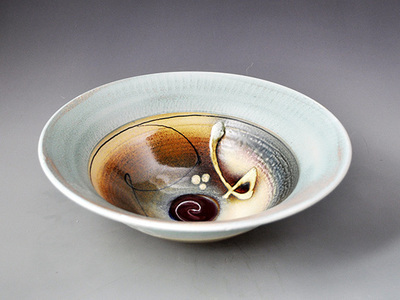 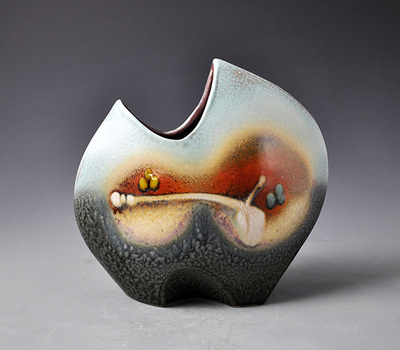 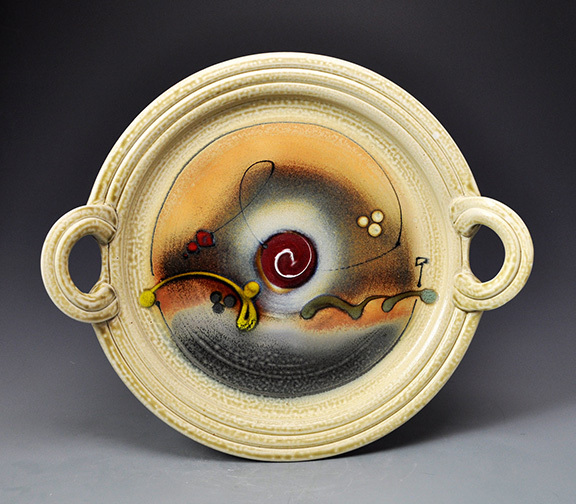 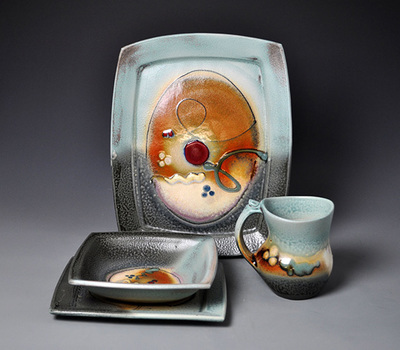 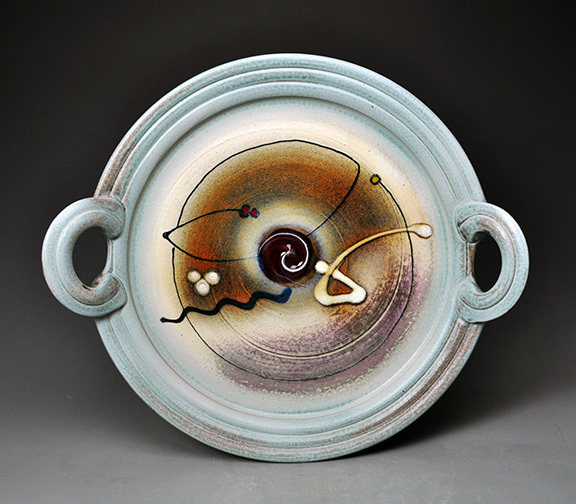 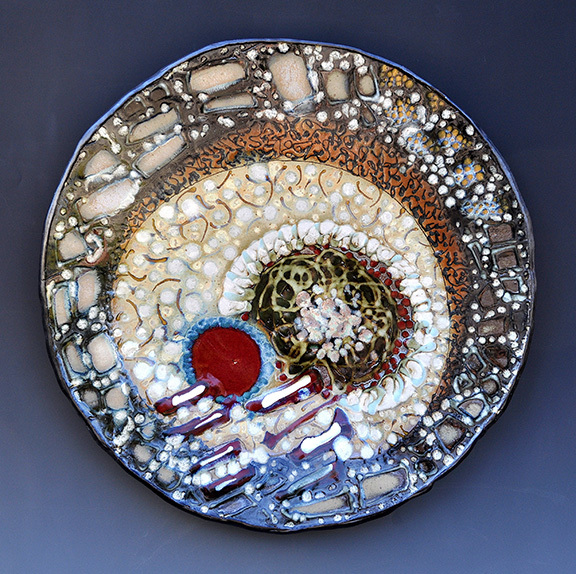 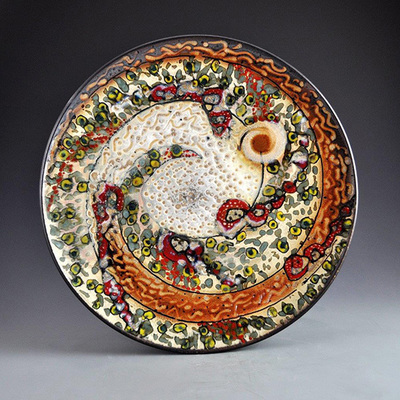 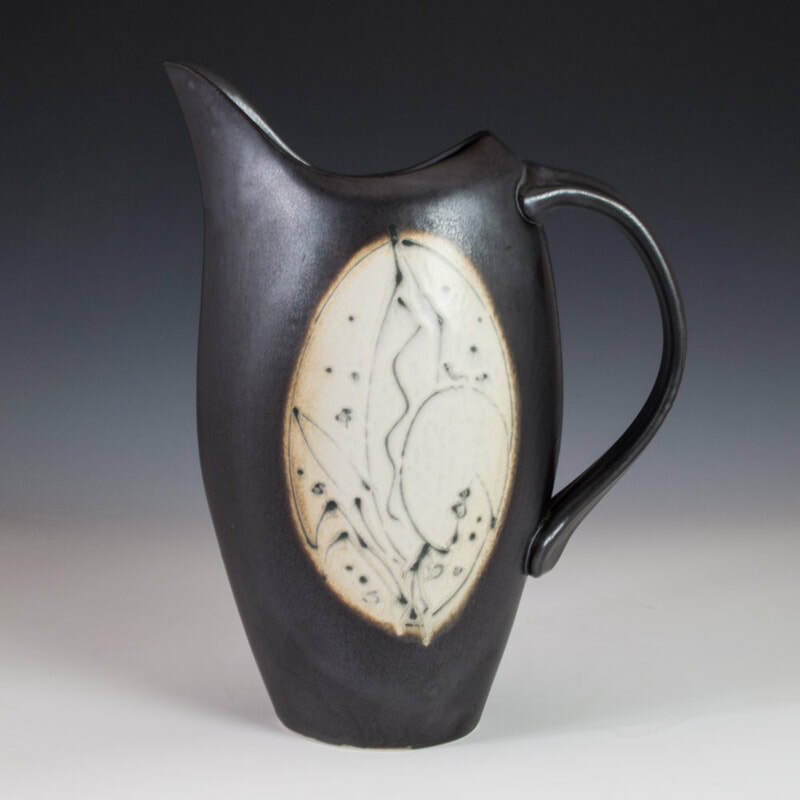 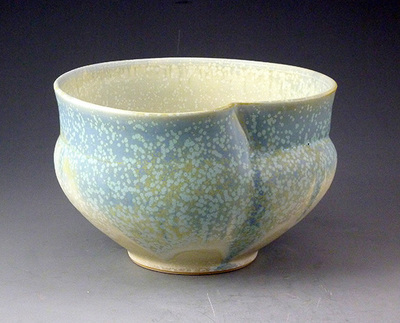 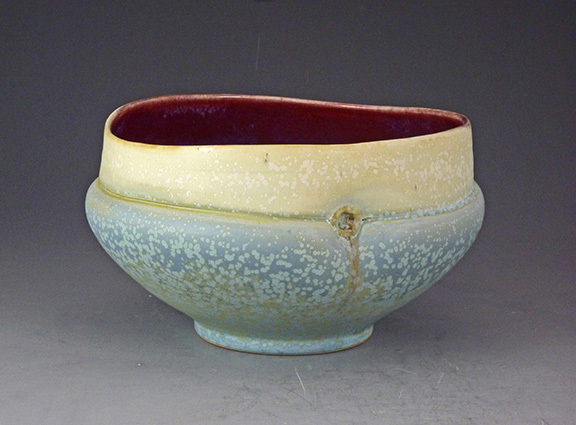 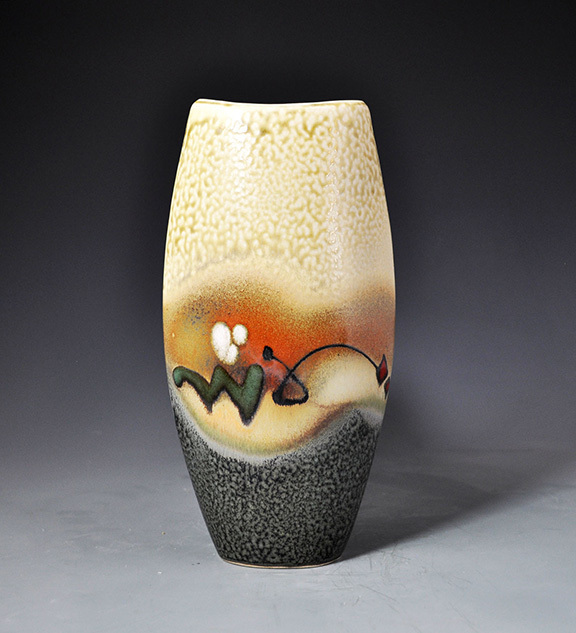 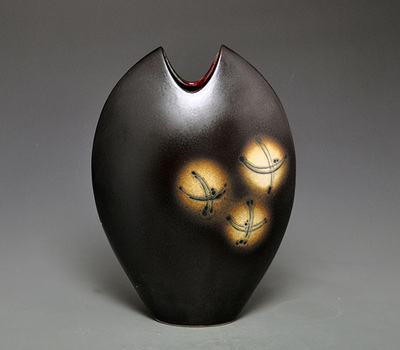 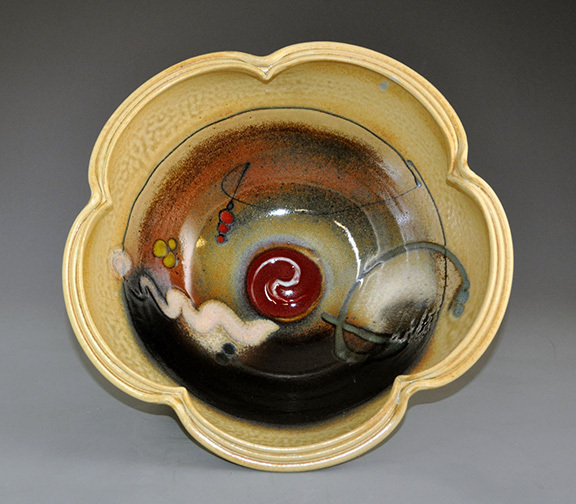 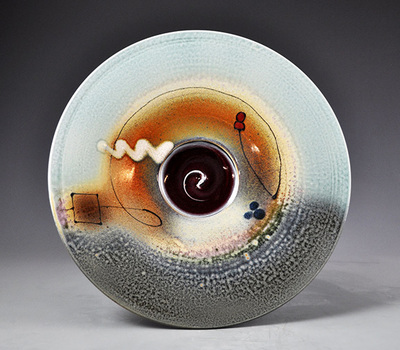 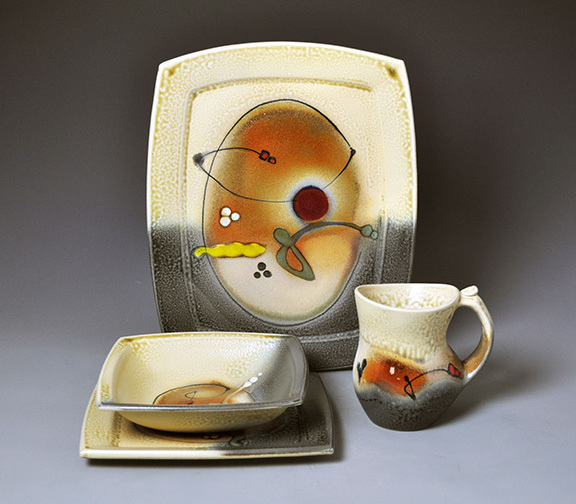 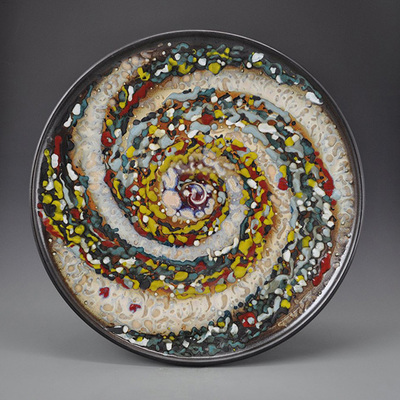 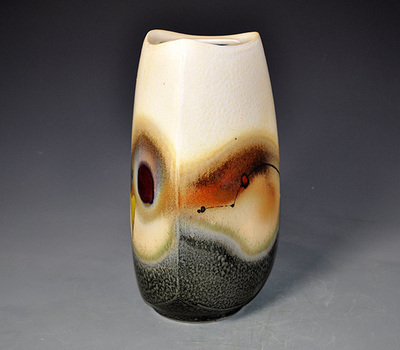 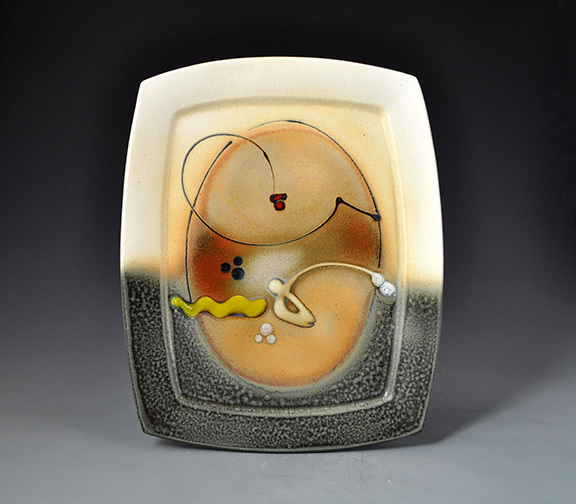 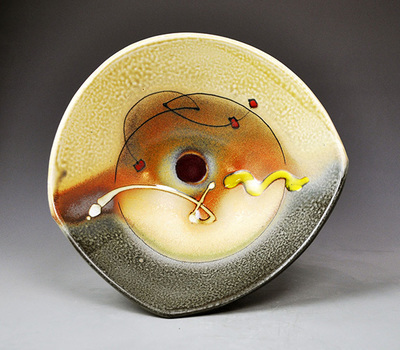 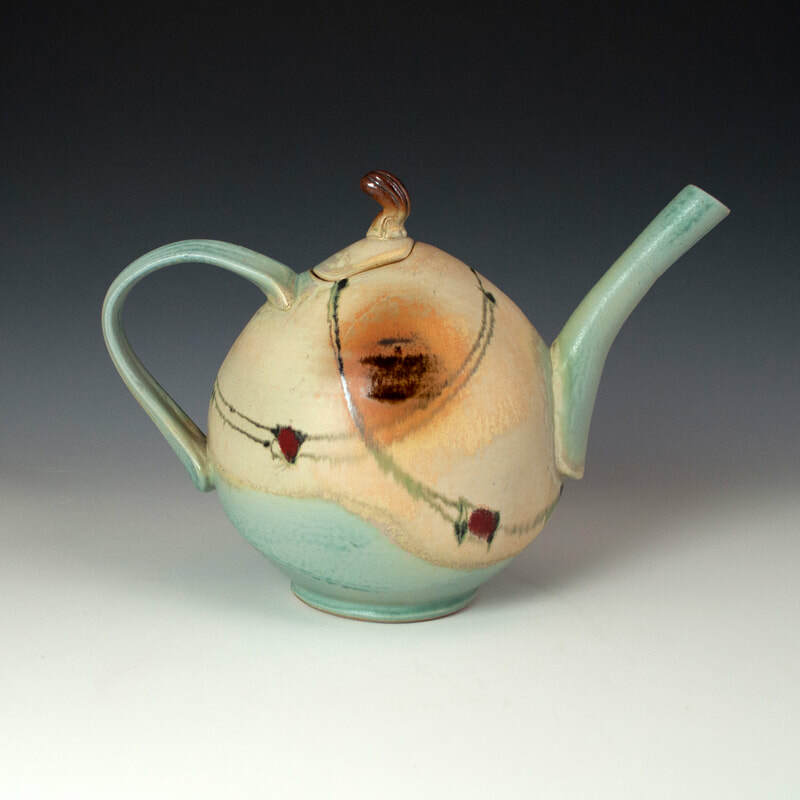 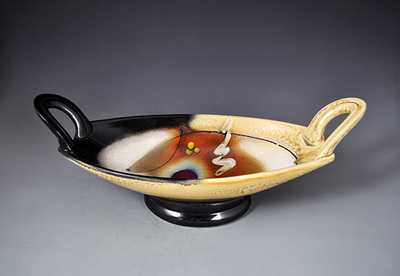 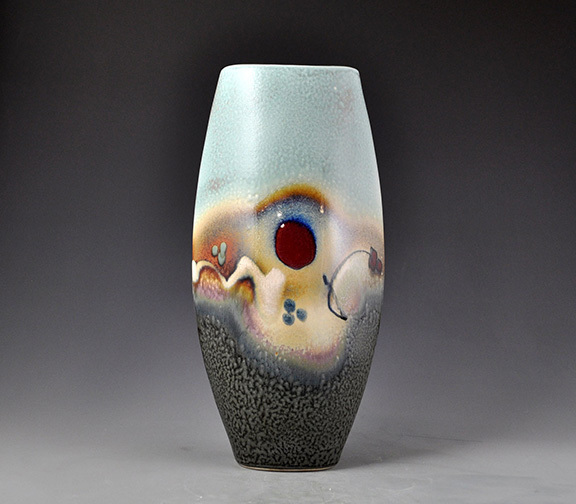 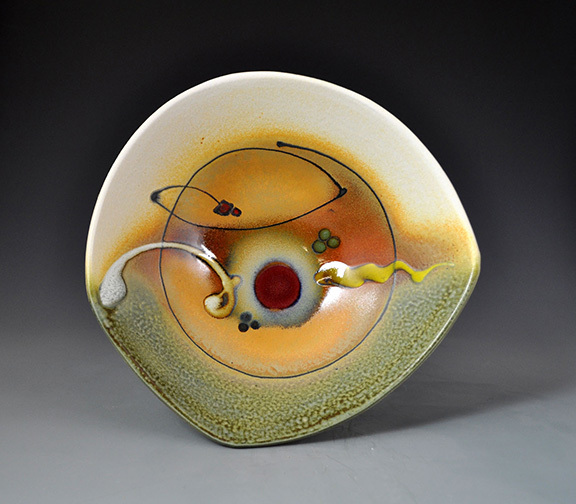 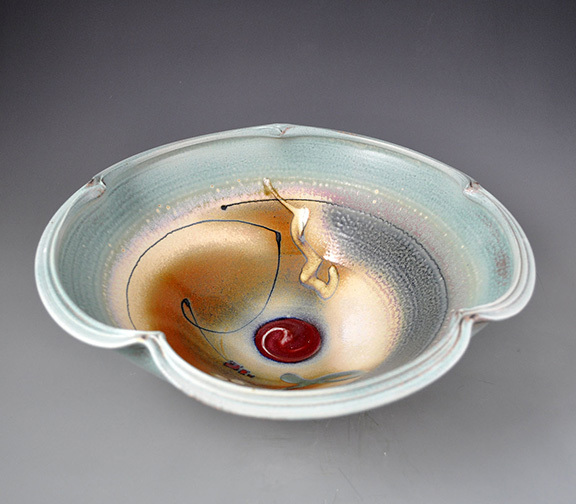 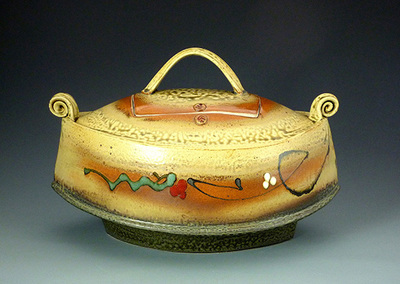 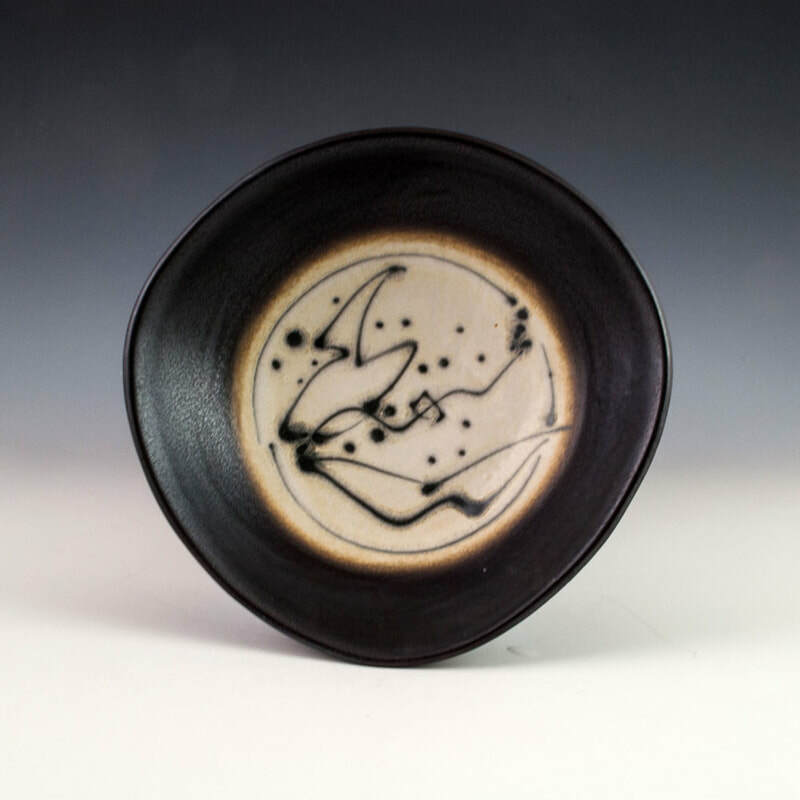 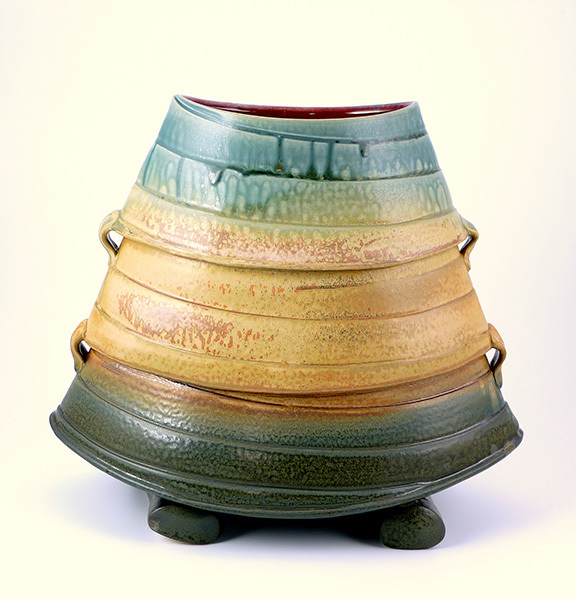 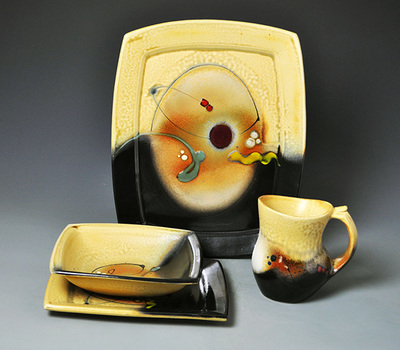 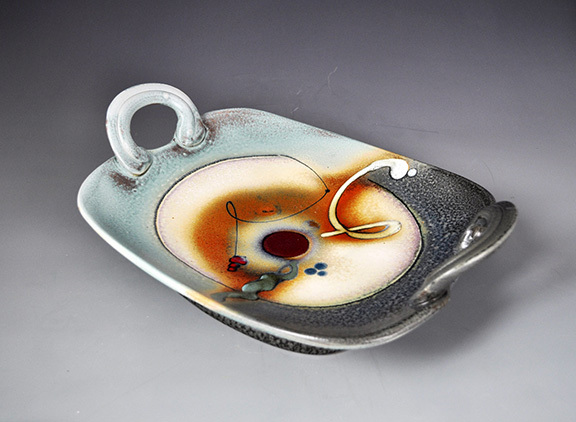 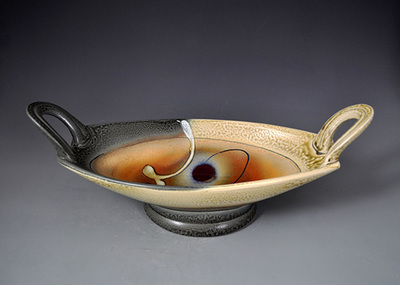 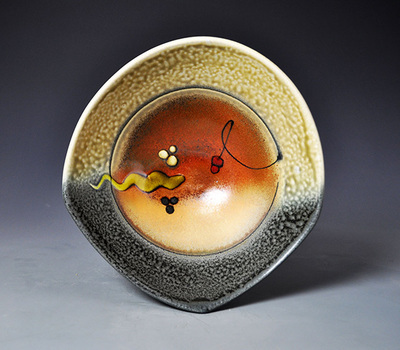 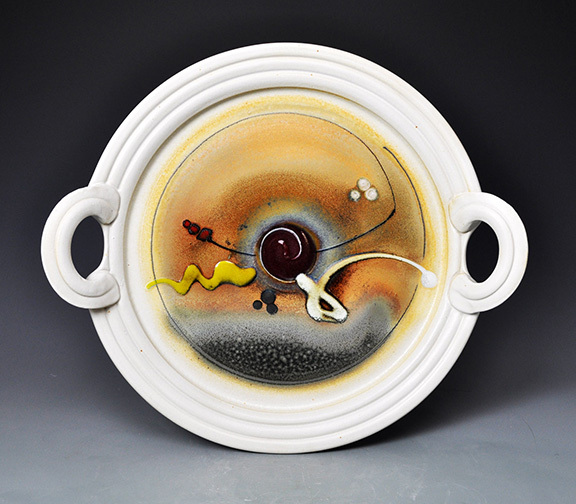 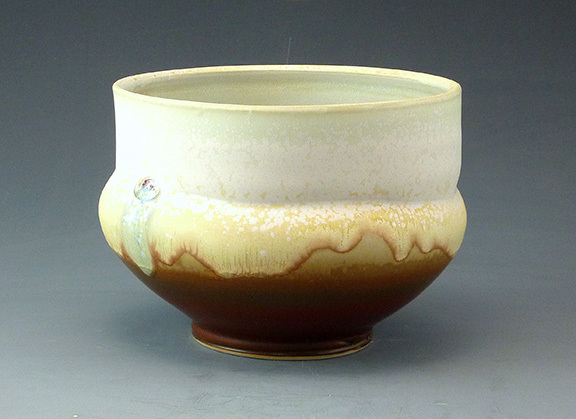 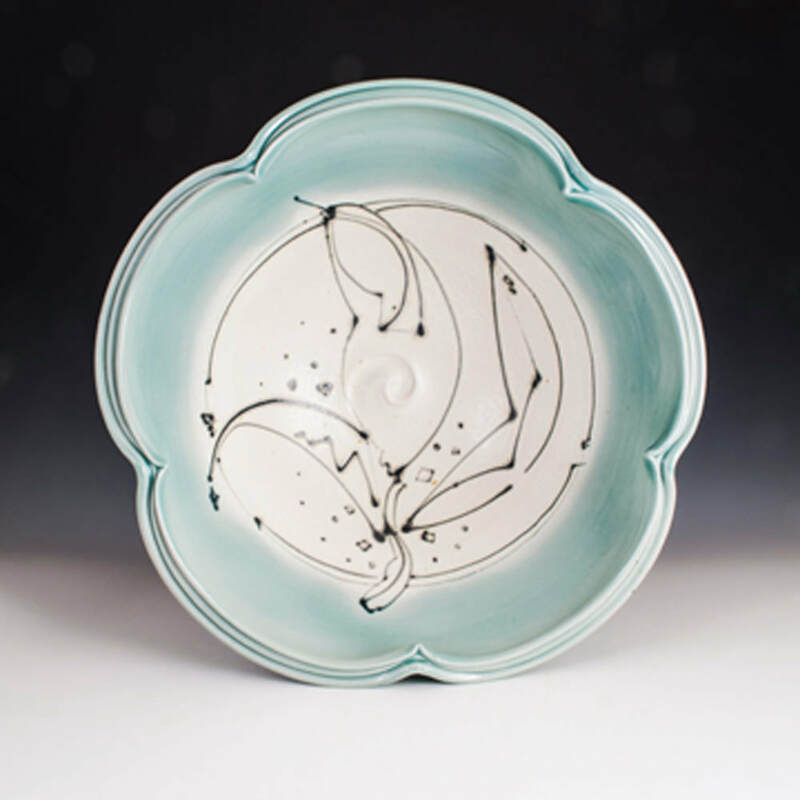 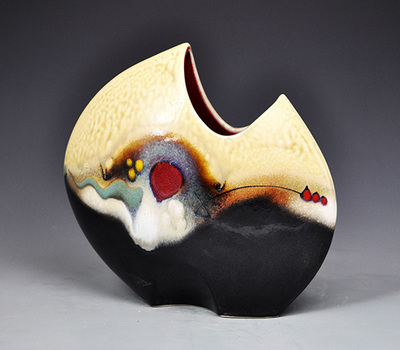 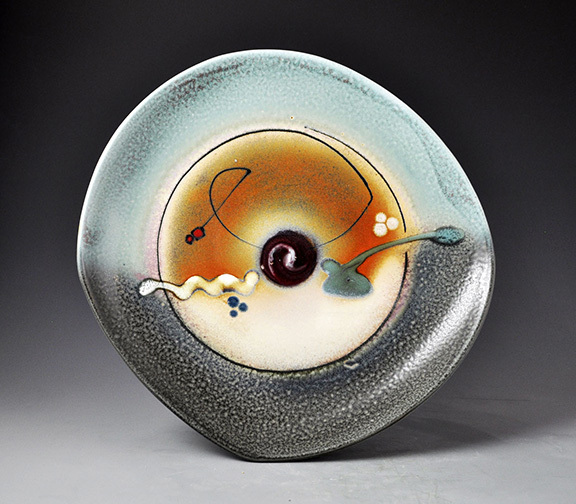 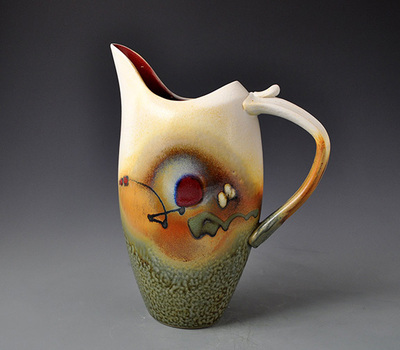 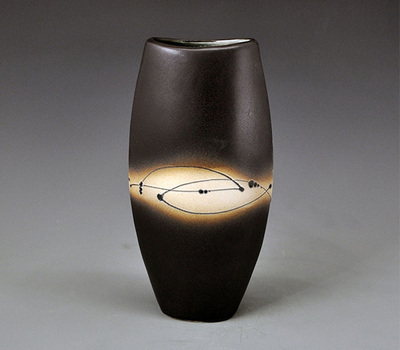 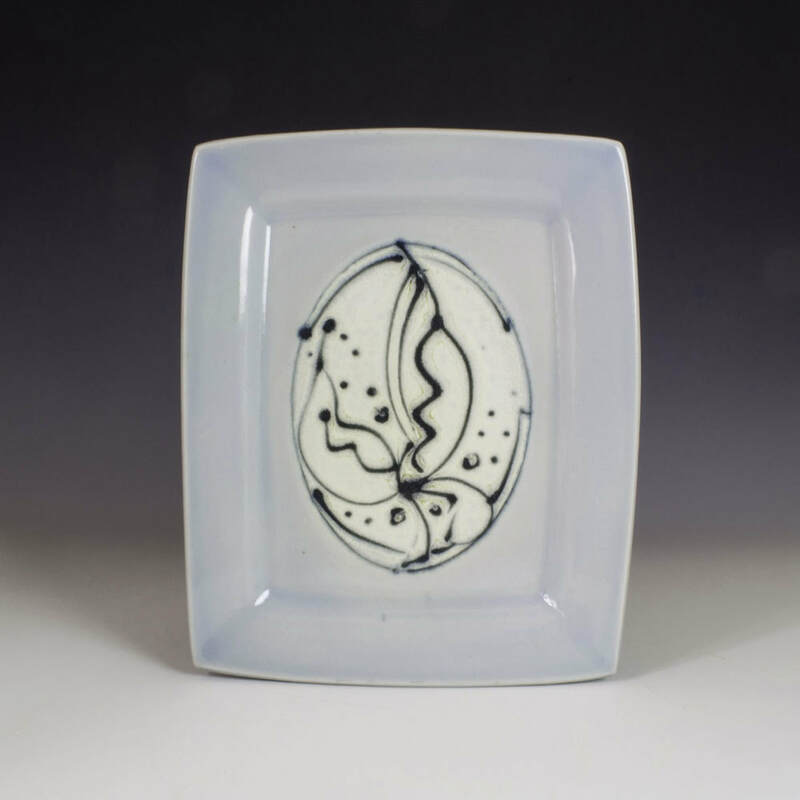 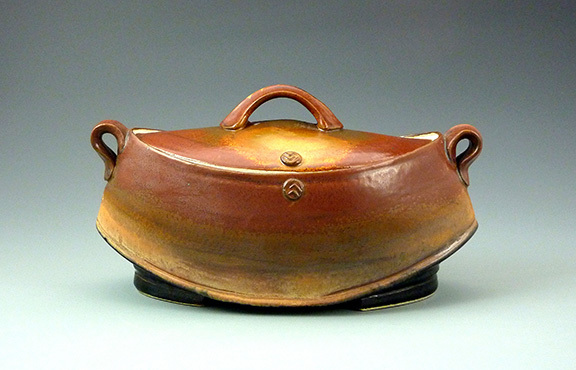 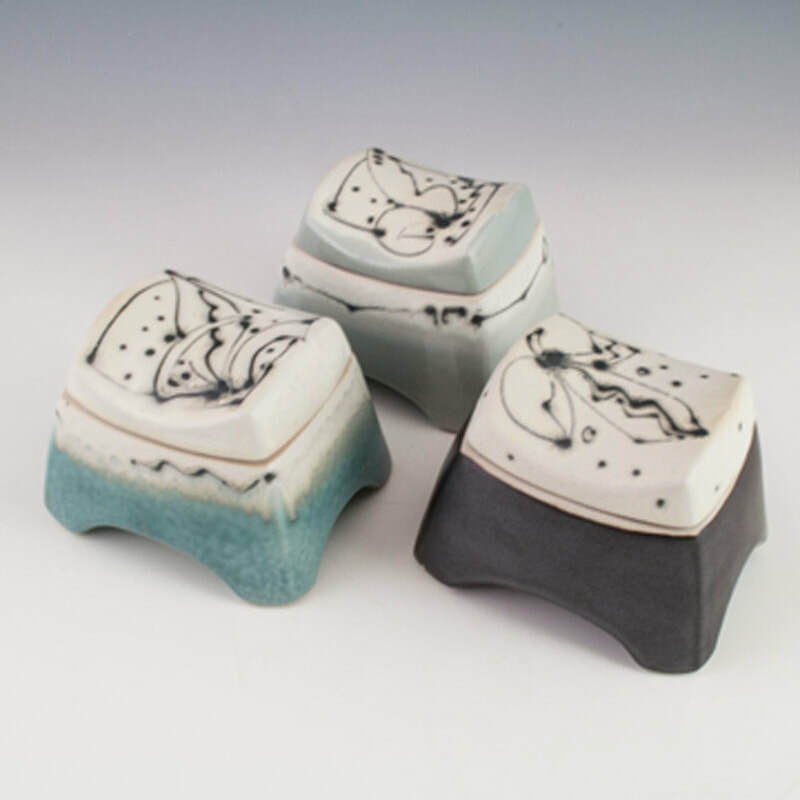 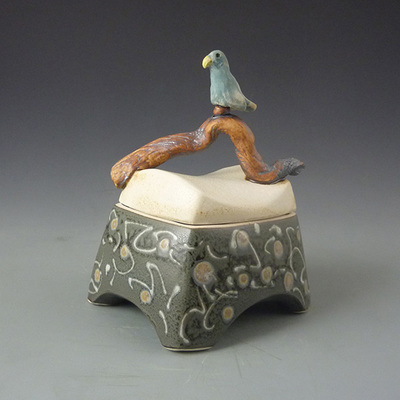 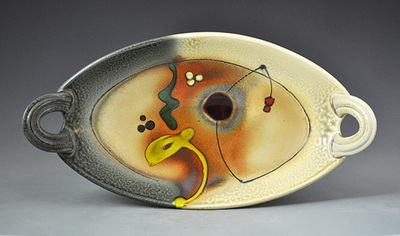 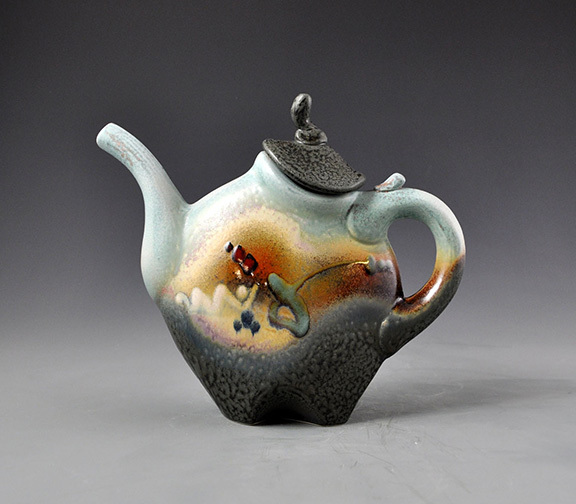 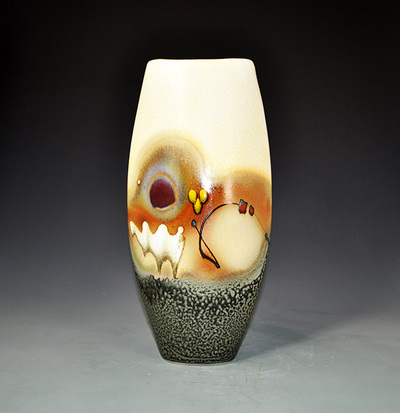 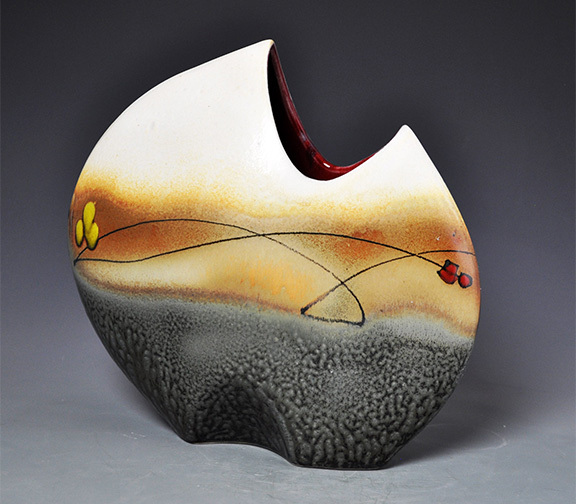 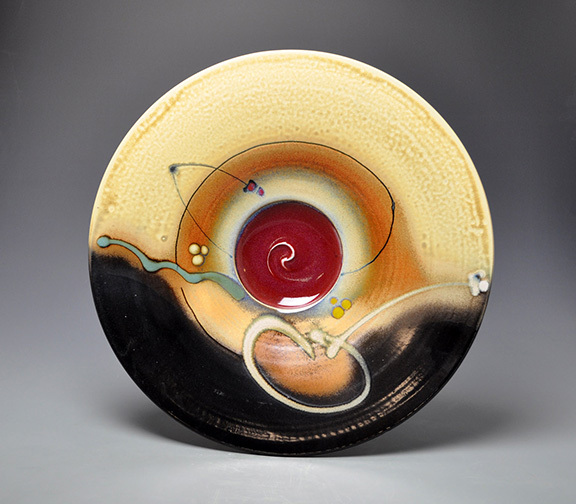 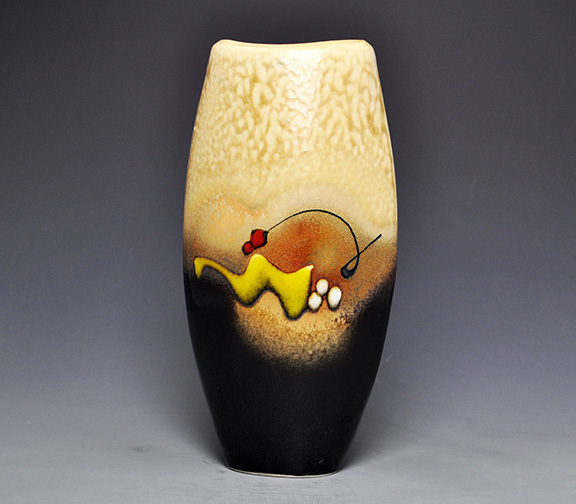 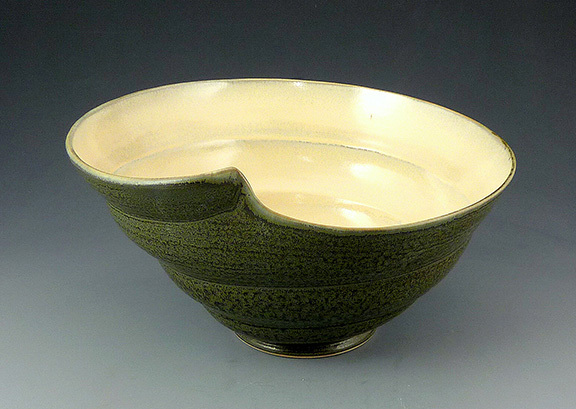 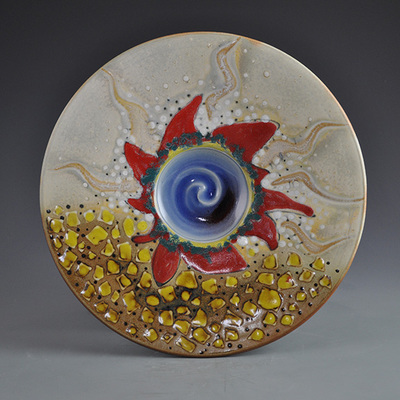 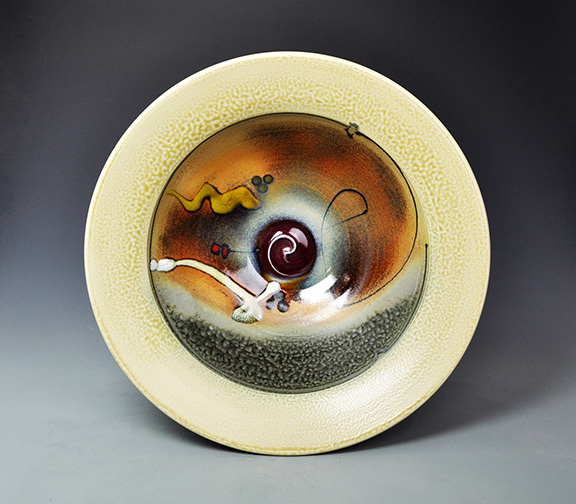 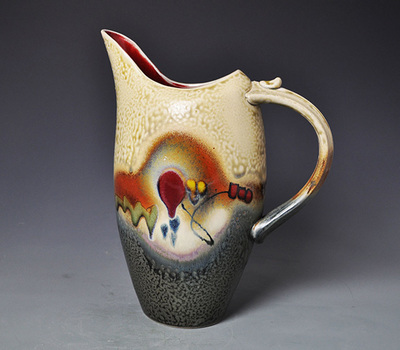 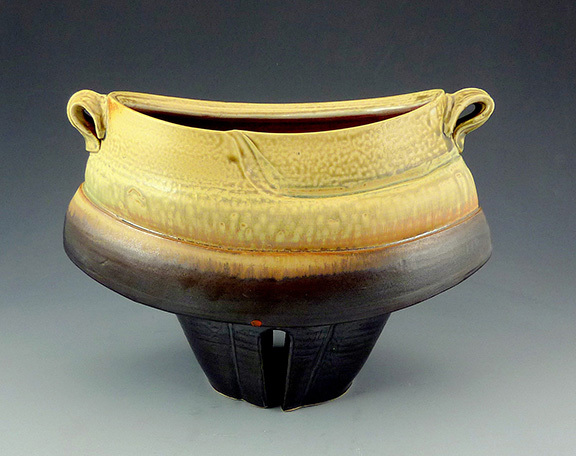 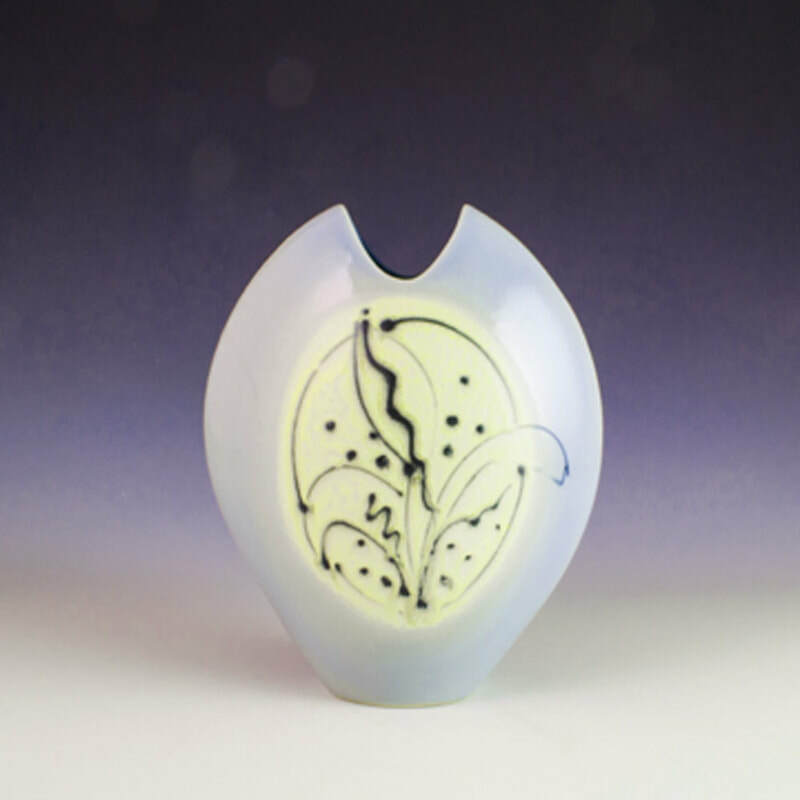 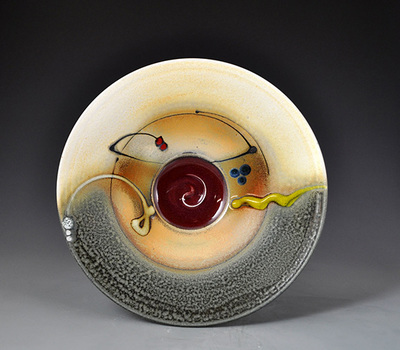 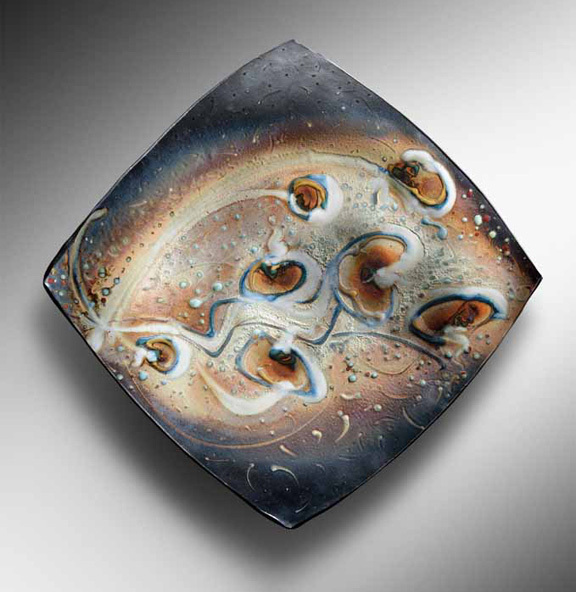 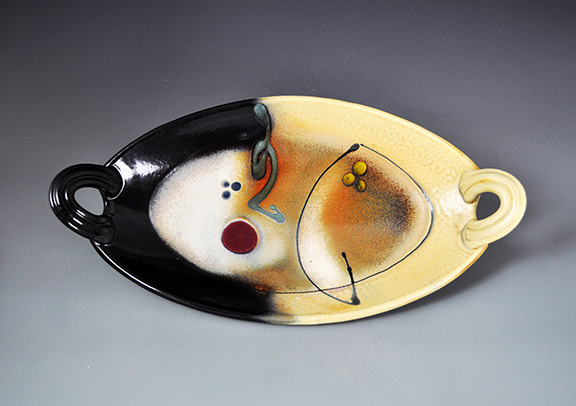 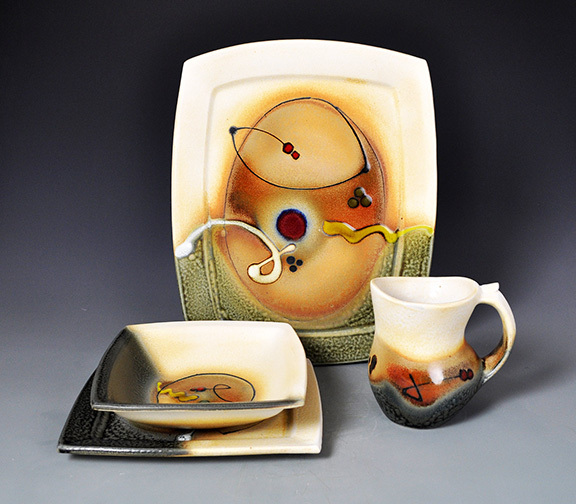 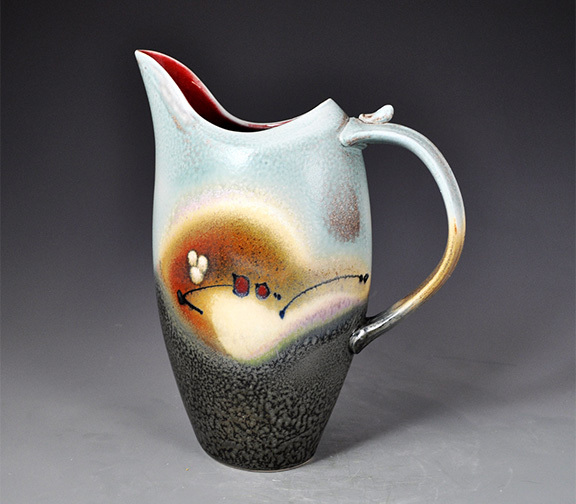 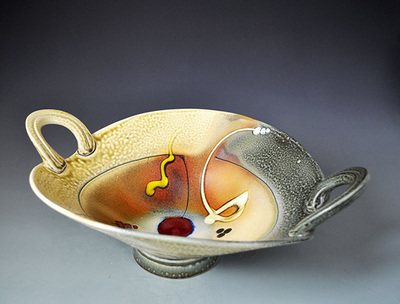 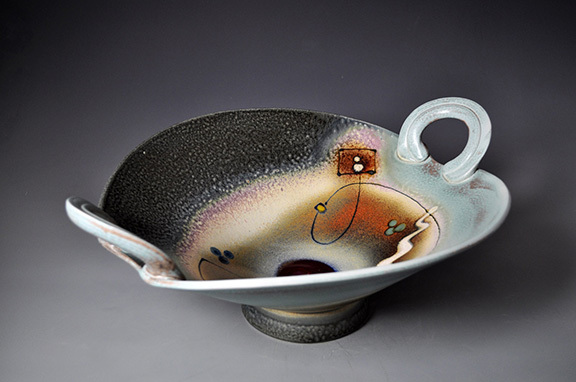 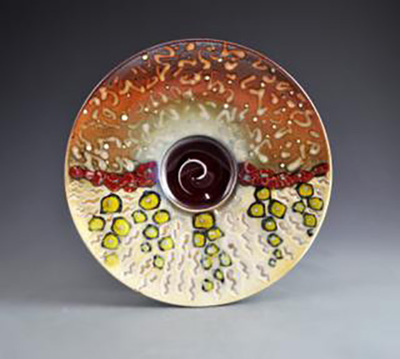 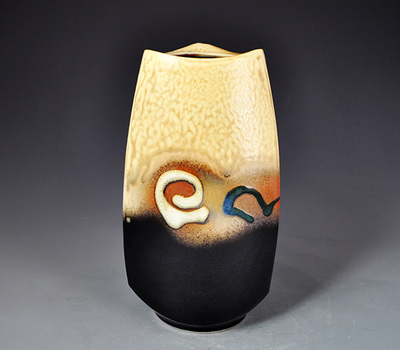 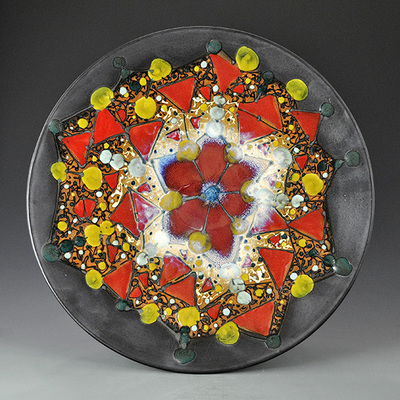 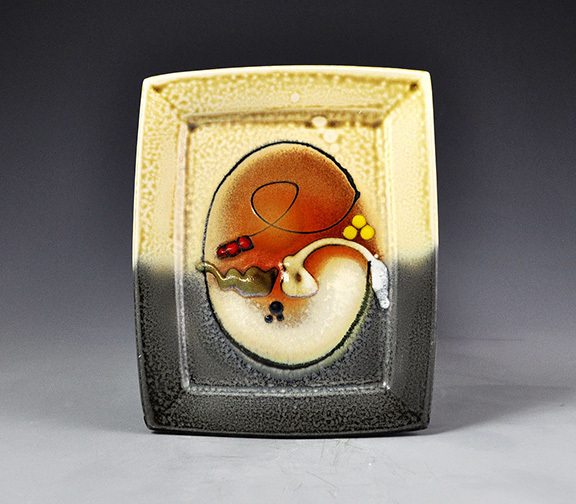 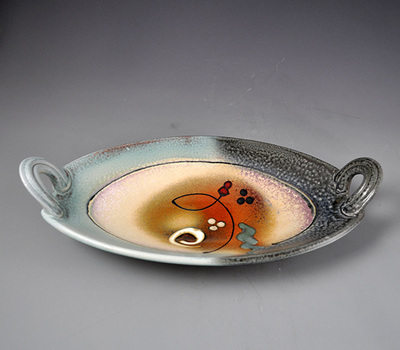 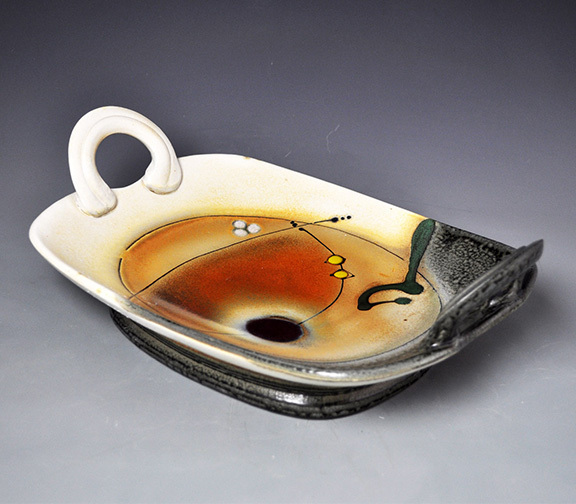 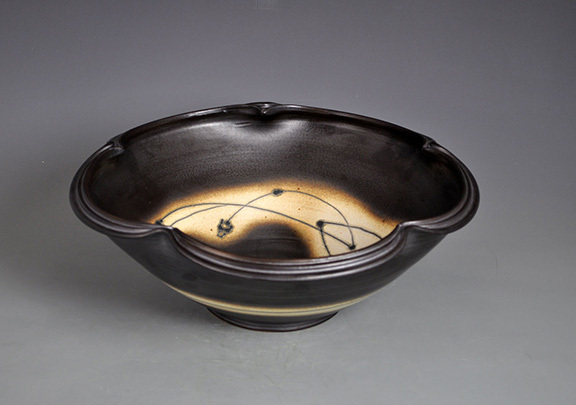 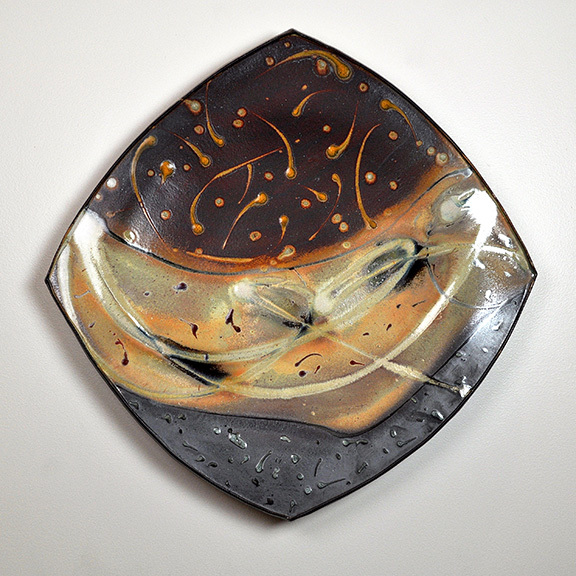 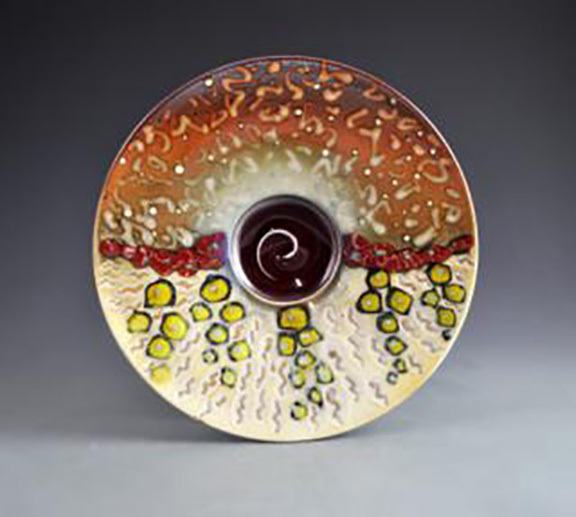 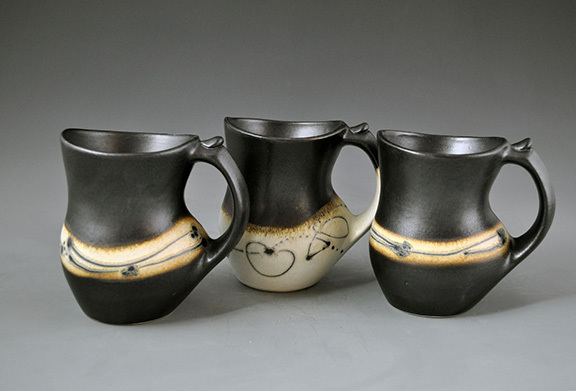 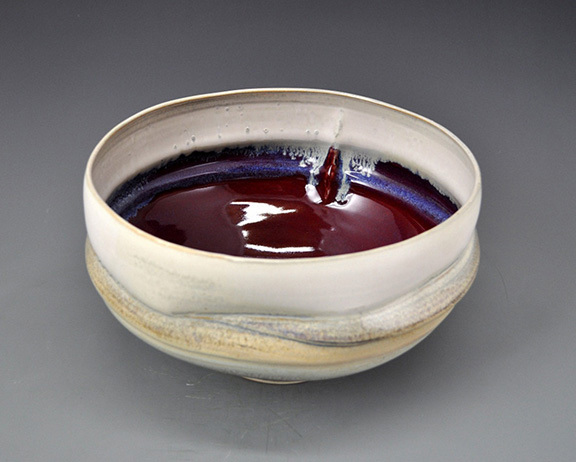 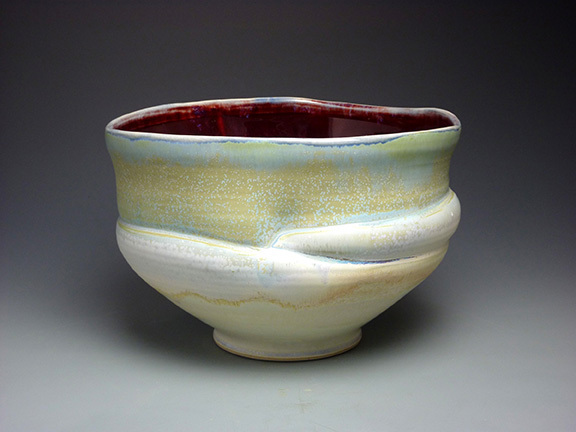 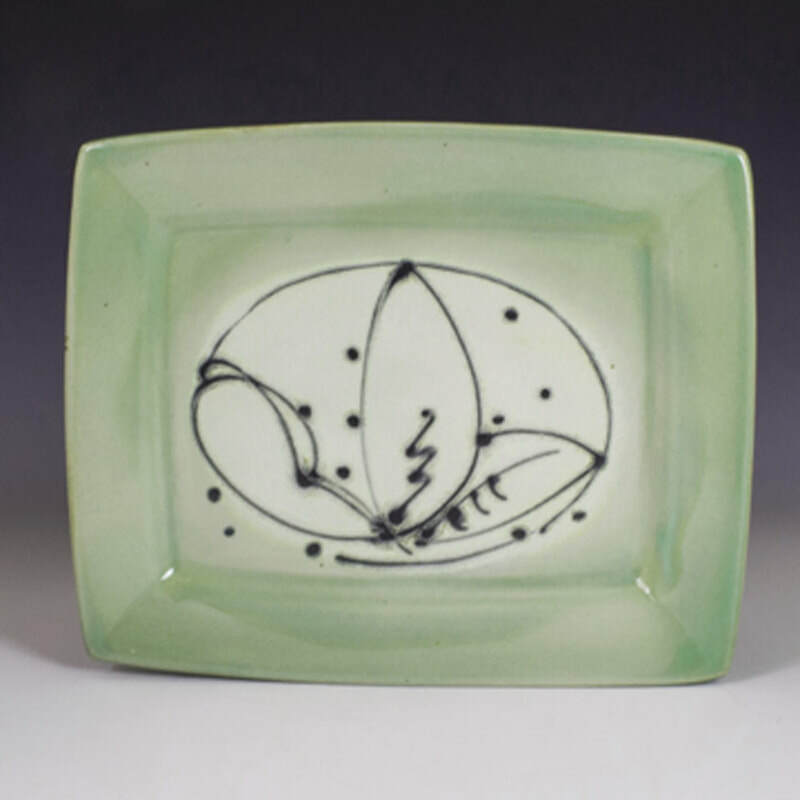 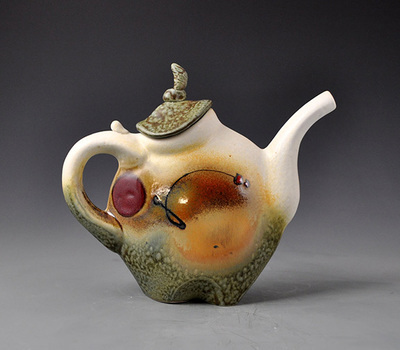 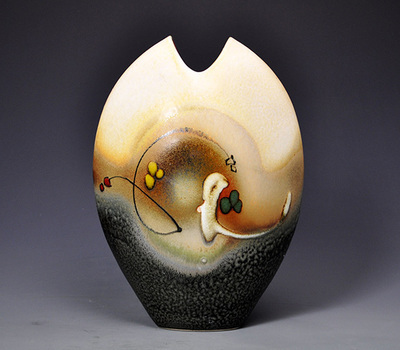 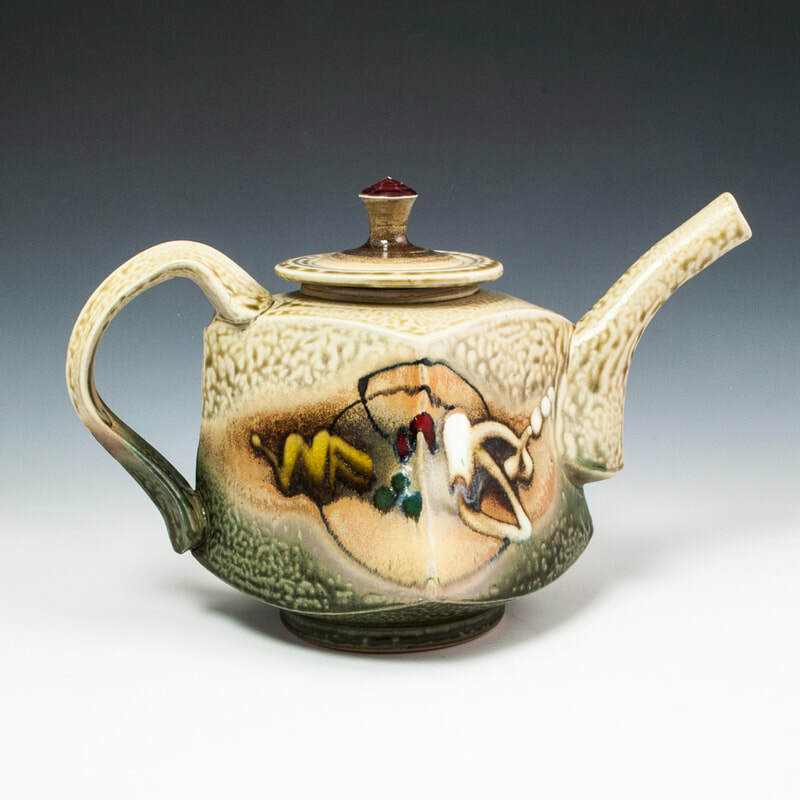 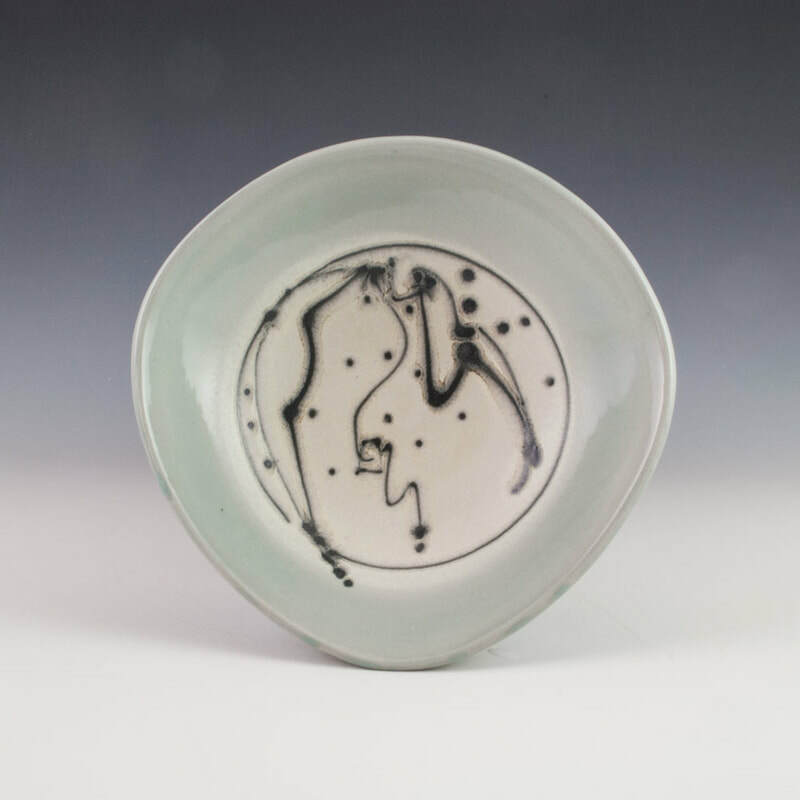 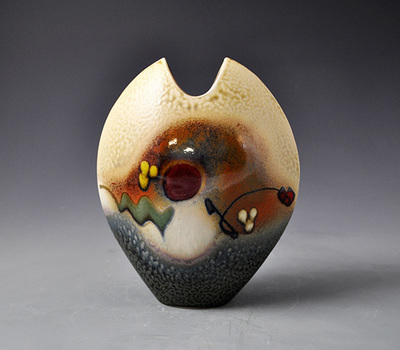 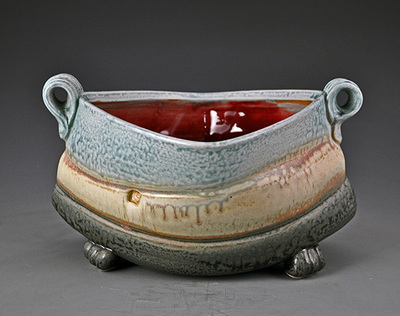 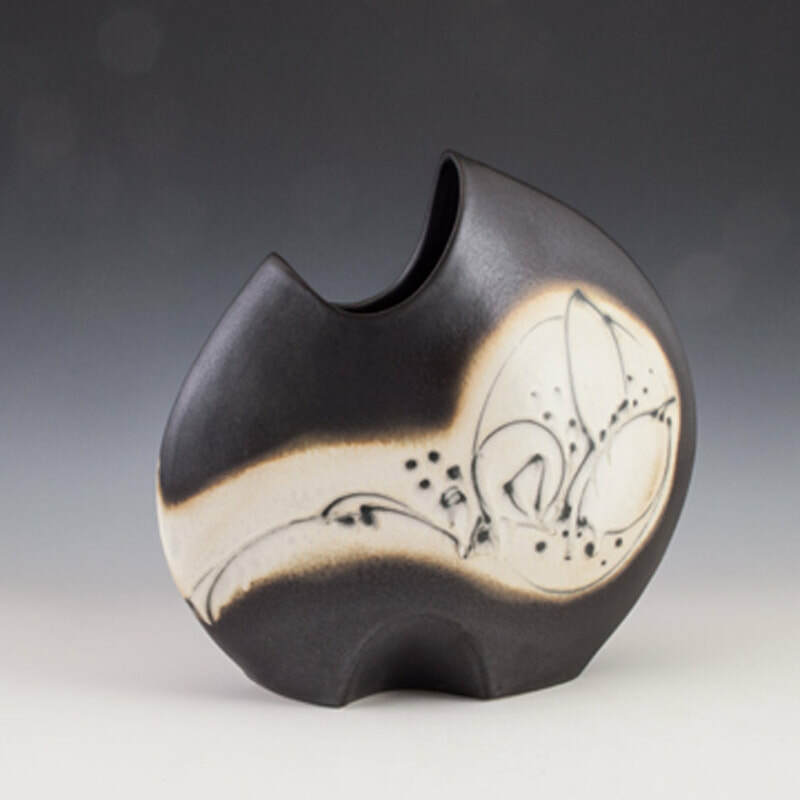 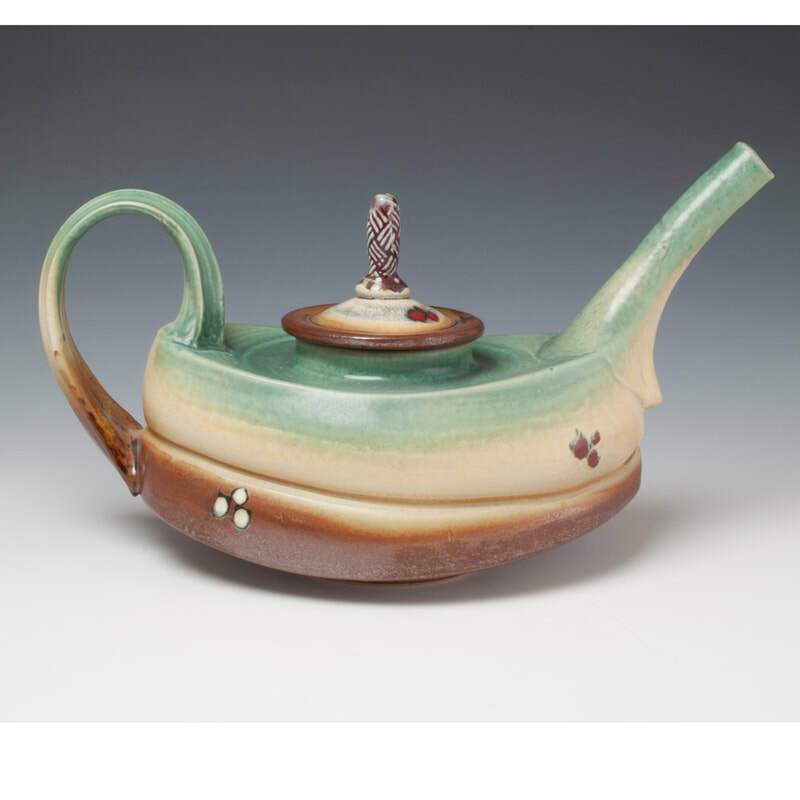 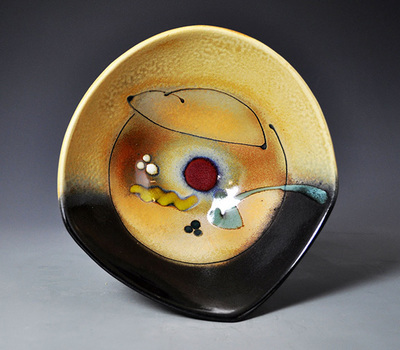 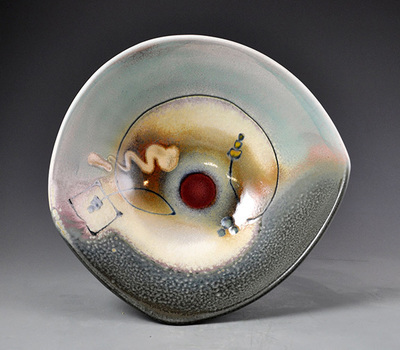 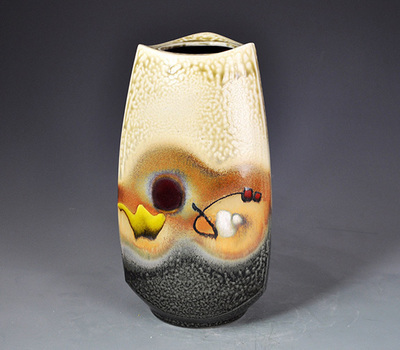 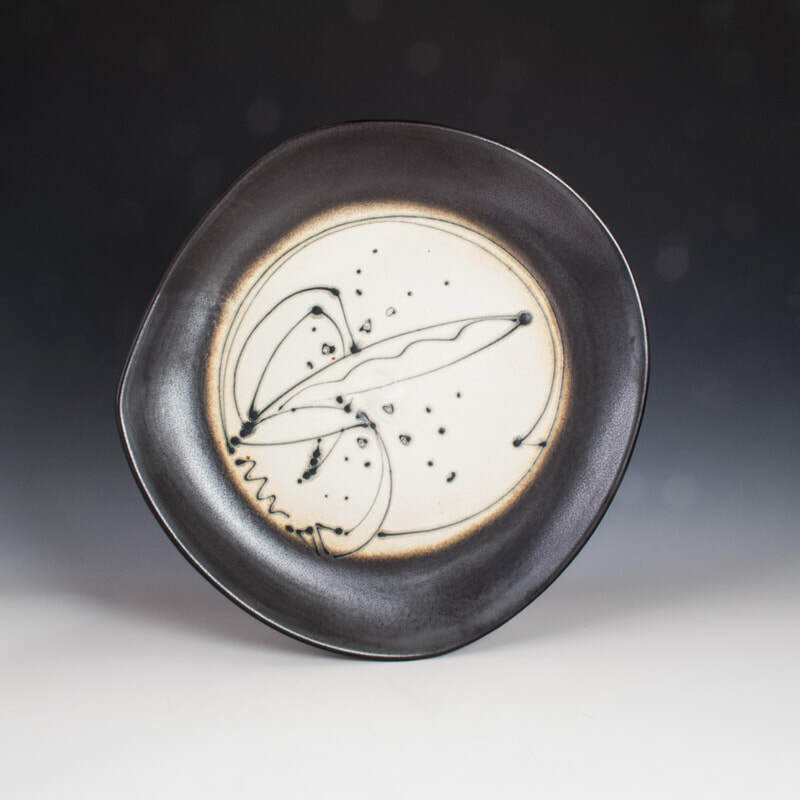 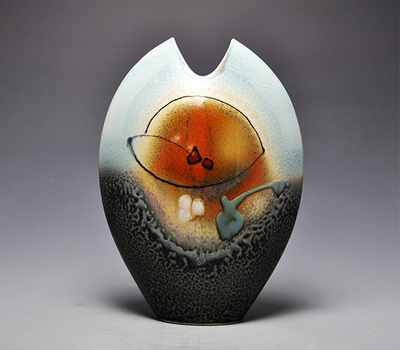 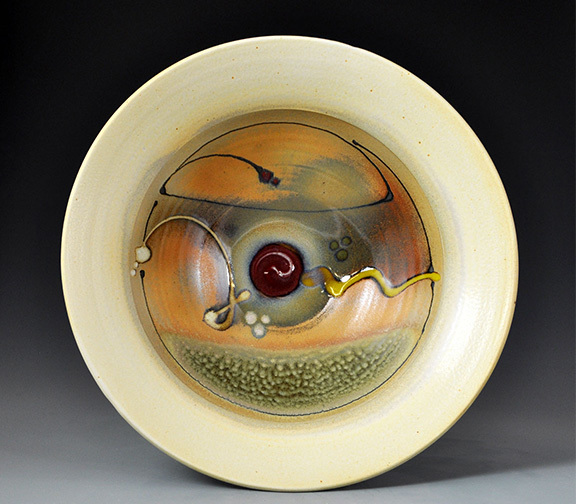 Loren Lukens' porcelain pottery is for functional use on the table or aesthetic use on the wall. 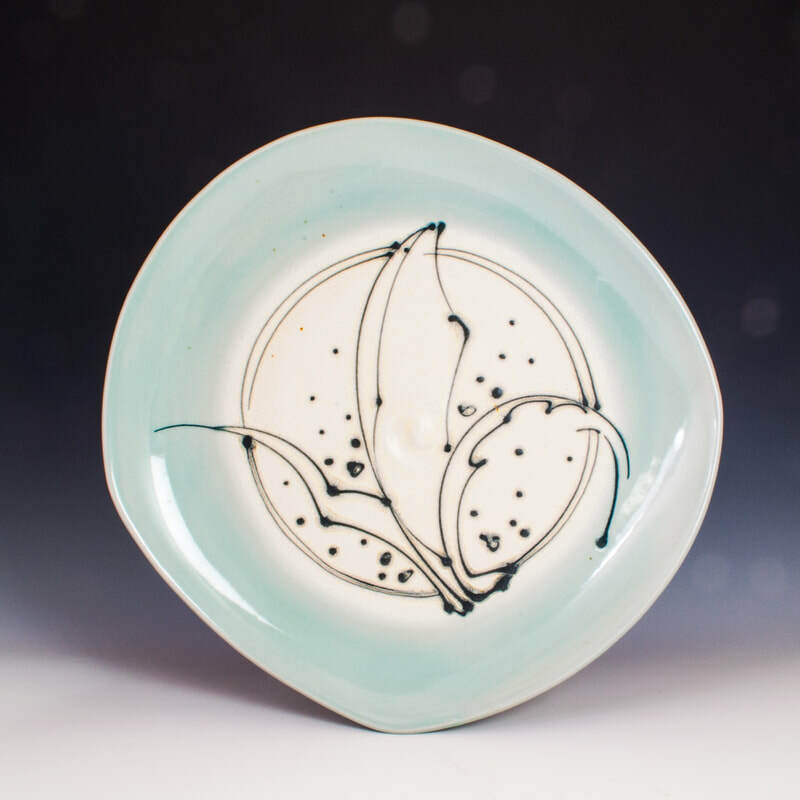 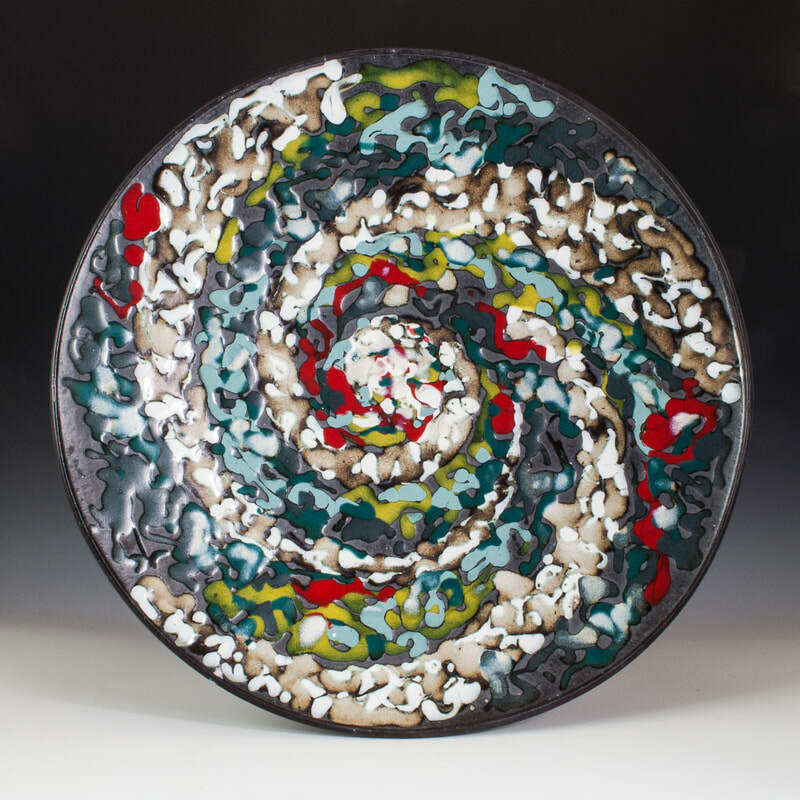 Plates, bowls, teapots, and wall platters are thrown, hand built, and slip cast, with the help of an occasional assistant, at Brace Point Pottery studio. 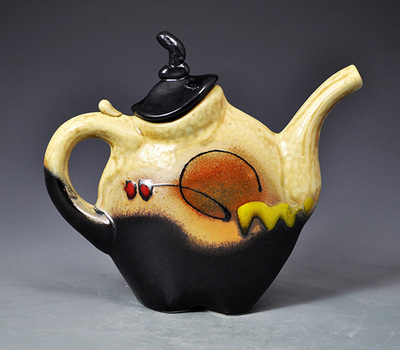 Teapots and pitchers lean and shrug, oval vases reach up to embrace their flowers and oval trays balance on coiled bases. 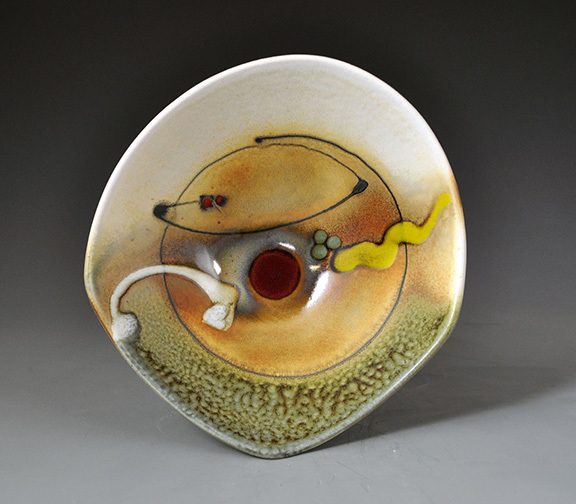 They borrow the form of the human body. 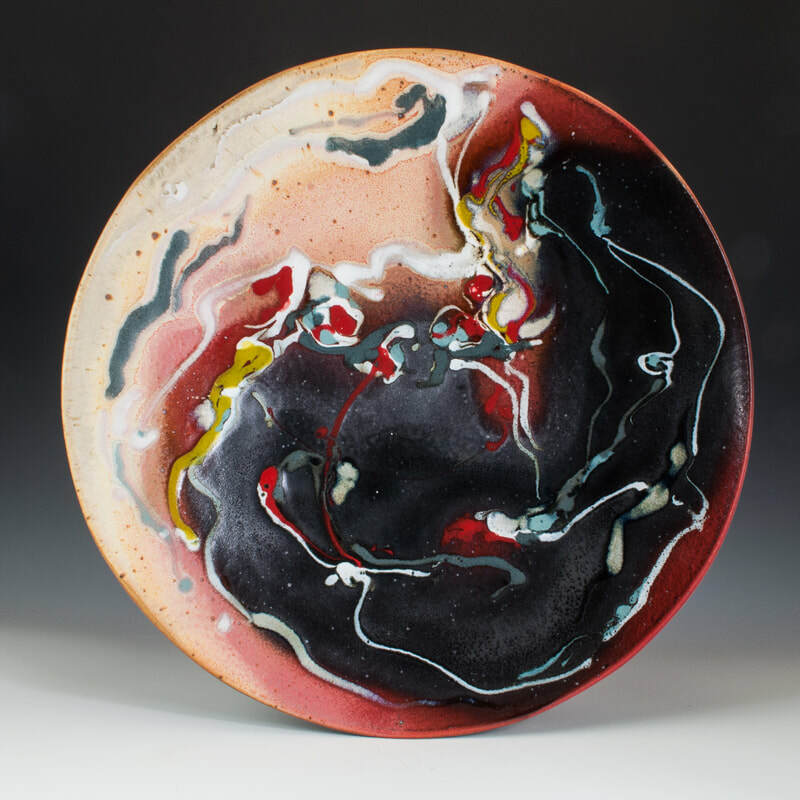 His bold use of color successfully combines gestural lines with copper red flashes: a vocabulary of color and form.